There were a number of videos released for “One”, the first was released to MTV the week of March 4, 1992. This was the video by Mark Pellington featuring the running buffalo. Two weeks later MTV would put a second version of the video produced by Phil Joanou into heavy rotation instead, and would not return this version to heavy rotation until April 1, where it appeared along side the other video. On the week of May 20 a third version of the video, by Anton Corbijn would air and be placed into heavy rotation. 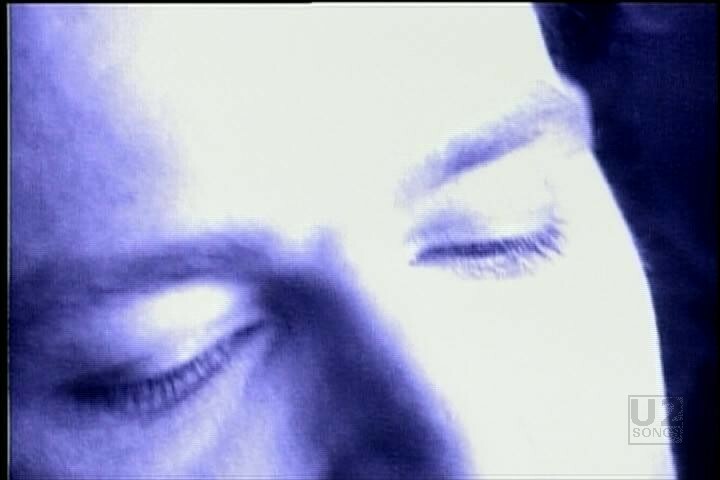 The first video planned for “One” was the Corbijn directed video. But just before it was due to be released the band realized that dressing in drag in a video where the proceeds were going for AIDS research may give the wrong message, and they had no desire to sexualize the disease. At the last minute they decided to pull the Corbijn directed video. To get a video to MTV and other music outlets on time, they turned to the footage that Mark Pellington had shot for the Zoo TV tour, a montage of the word one in various languages, flowers and buffalo. This was released as a video for the song first. But the band knew that video, although different and artistic, would not fare well on MTV, and probably would not stay in high rotation for long. So they started to formulate a plan for a second video which was this video by Joanou. 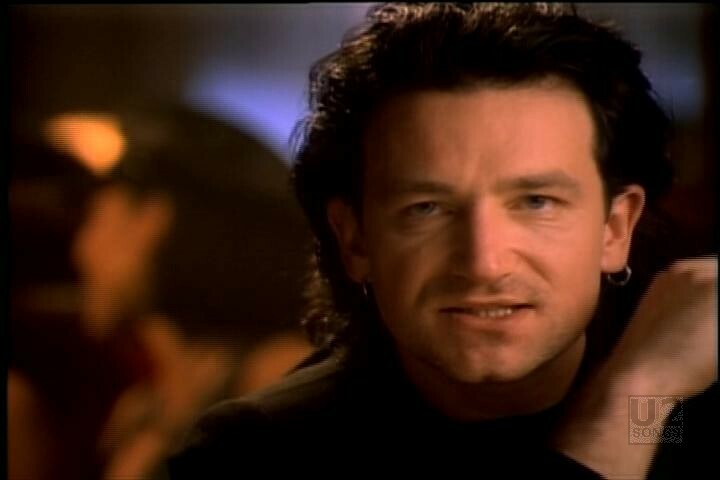 They were correct, upon handing over the video, MTV dropped the buffalo version in favor of this new version featuring Bono. 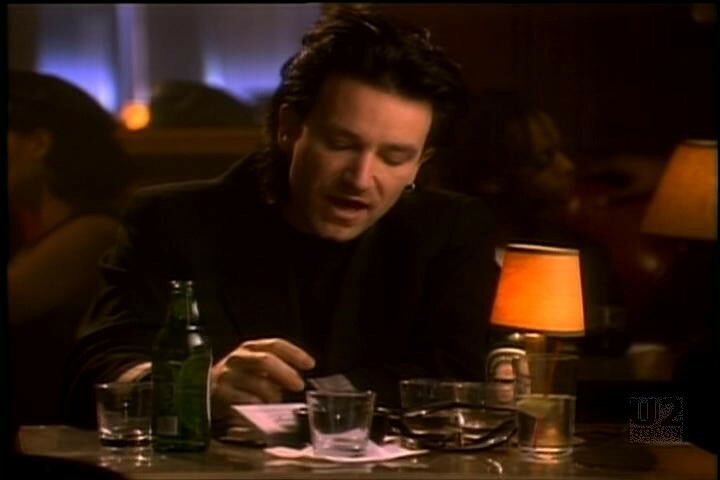 The video is made up mostly of footage of Bono sitting at a table in Nell’s drinking and smoking in the wee hours of the morning. Sometimes he is well list, other times it looks like there is a strobe light on him. The footage also includes footage of a model named Selena who interacts with Bono in the video. There is also footage that Joanou shot on the Zoo TV tour. Initially there were other models and also some drag queens that were hired for the video, however, as the shoot went on it became obvious that Bono would be the start of the video. There is also footage of other band members at Nell’s including a shot of Larry dancing with Selena, and one of her with her head on the shoulder of The Edge. The final shot is Bono putting on his glasses as he leaves the bar after the shoot. This video is mislabeled on the U2Vevo account as the Anton Corbijn Version. "U2 - “U218 Videos” Video Release"
"U2 - “Achtung Baby: The Videos, The Cameos, and a whole lot of Interference from Zoo TV” Video Relea"